The leading wireless telco in the United States, Verizon Wireless, this morning released its third quarter results revealing 3.9 million iPhone activations (which is different than the actual unit sales). 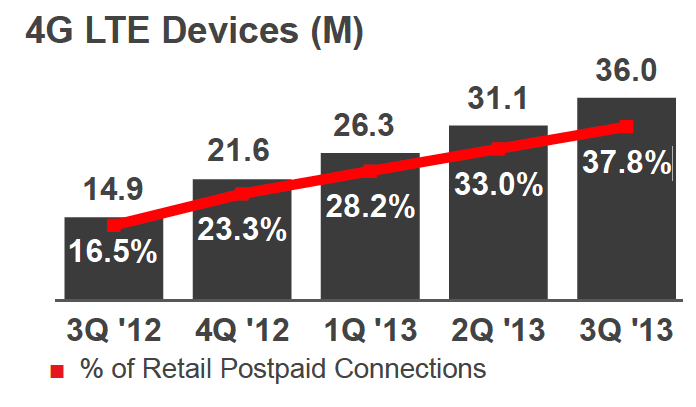 It’s the same as its previous quarter and 26 percent up from 3.1 million iPhone activations in Q3 of 2012. Apple’s share of total smartphone activations at the Big Red carrier, however, has jumped from 43 percent in the second quarter of 2013 to as much as 51 percent of the 7.6 million total smartphone activations in the third quarter. Verizon’s profit improved 40 percent on strong wireless and FiOS customer gains. 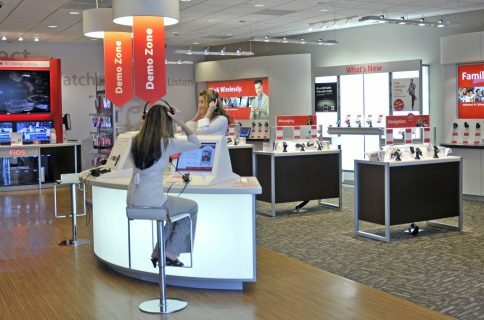 According to Verizon, it added a total of 1.1 million net retail connections, including 927,000 net retail postpaid connections. The company now has a total of 101.2 million retail connections (a 5.5 percent annual increase) and 95.2 million retail postpaid connections. Approximately 42 percent of Verizon’s retail postpaid accounts are now on a Share Everything Plan, which allows customers to share data among multiple devices. Smartphones continued to grow and accounted for more than 67 percent of the Verizon Wireless retail postpaid customer phone base, up from 64 percent at the end of the second quarter. 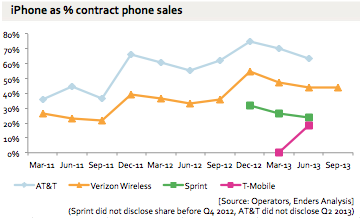 iPhone share of U.S. activates chart courtesy of Benedict Evans. Verizon during the September quarter introduced the new Edge service for folks who want to upgrade to a new phone after six months if 50 percent of the retail price has been paid. It also added a few new hero devices to its stable, including of course the iPhone 5s/5c, the HTC One, the Samsung Galaxy Note 3 and the Droid Maxx/Ultra/Mini, which Consumer Reports recommended over Apple’s new iPhones. 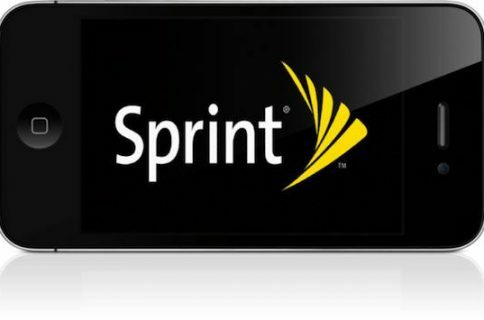 Also, the September quarter saw the launch of Verizon’s 4G LTE Broadband Router with Voice, which can be used to connect landline phones and wireless data devices simultaneously. Sticking to its plan, the Big Red telco last month agreed to purchase Vodafone Group PLC’s 45 percent stake in Verizon Wireless for $130 billion. The company had to sell $49 billion in bonds to fund this transaction, making it the largest corporate-debt sale in history. As for Verizon’s fourth-generation Long-Term Evolution (LTE) deployment, the carrier claims its 4G LTE service now covers more than 99 percent of its current 3G network footprint. Verizon’s LTE is currently available to more than 303 million people in more than 500 markets across the United States, representing 97 percent of the nation’s population, the company said. This includes customers in areas served by Verizon’s LTE in Rural America partners. Overall, Verizon saw 6.8 million 4G LTE device activations on its network in the third quarter, a 21.1 percent increase versus the year-ago quarter. We’ll have to wait until Sprint, AT&T, T-Mobile and other U.S. telcos release their third-quarter earnings in order to get a fuller picture of the iPhone’s sales performance. Fascinating how effectively all the growth in US smartphone sales comes from iPhone. Android flat for last 2 years. 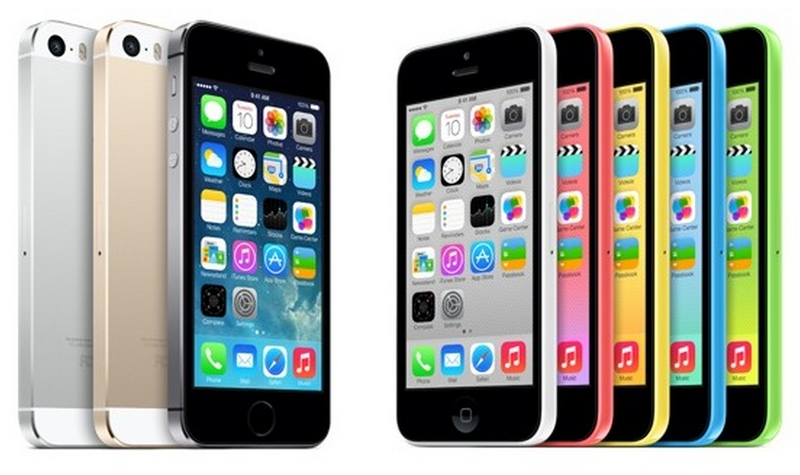 As you know, Apple started selling the iPhone 5s/5c on September 20 in the United States and ten additional countries, meaning the new handsets will represent ten days worth of total iPhone sales in the September quarter. 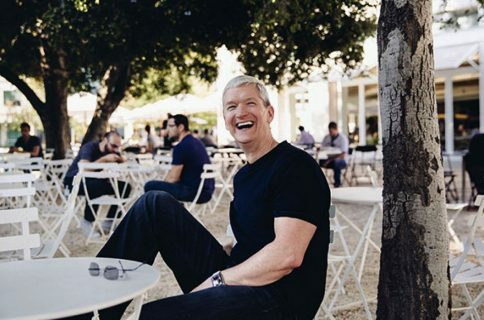 The Cupertino company said it will reveal its numbers in the October 28 earnings call and previously announced nine million iPhone 5s/5c sales on the launch weekend.